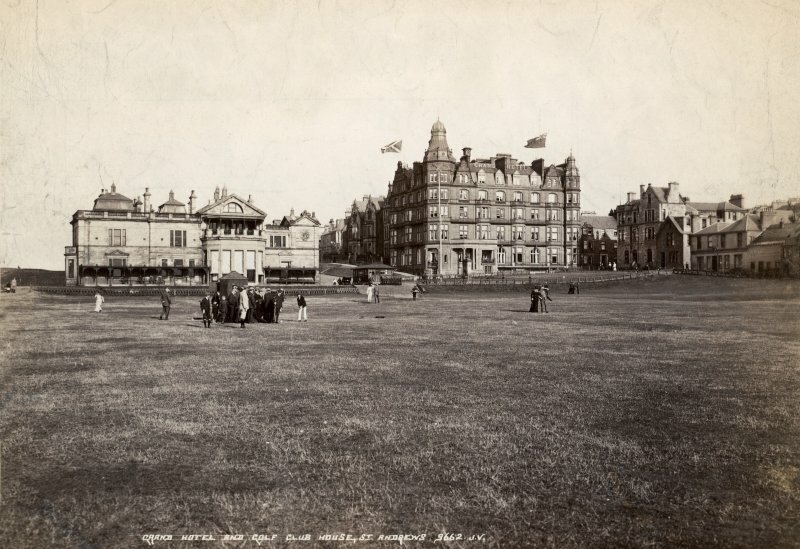 St Andrews on the east coast of Fife is known worldwide as the home of golf, which has been played here since the late fifteenth century on the links courses which are laid out along the coastal area to the north west of the town. 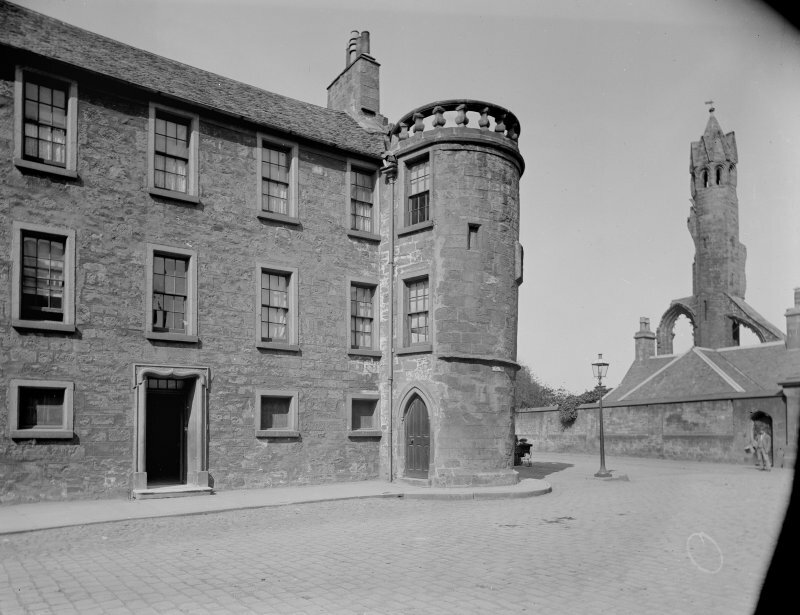 It is steeped in history with many historic buildings and sites around its medieval town centre, which became a Royal Burgh in 1620. 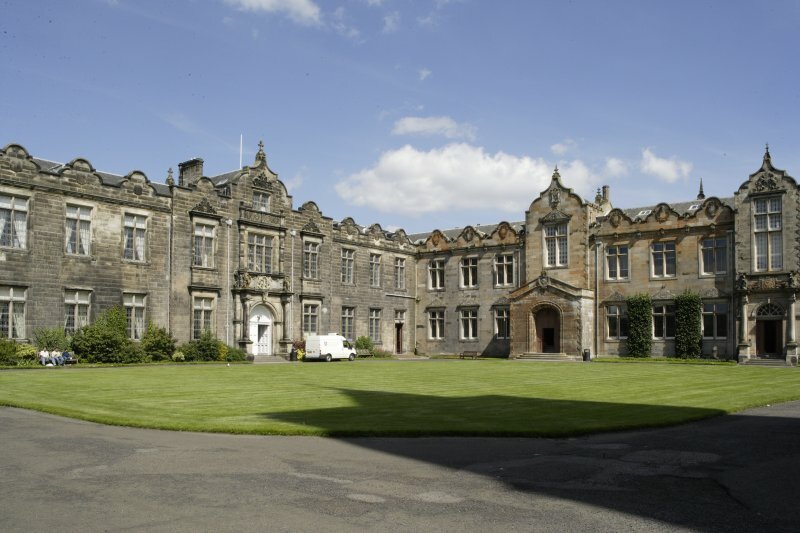 The University was established in 1410 and is the oldest university in Scotland. 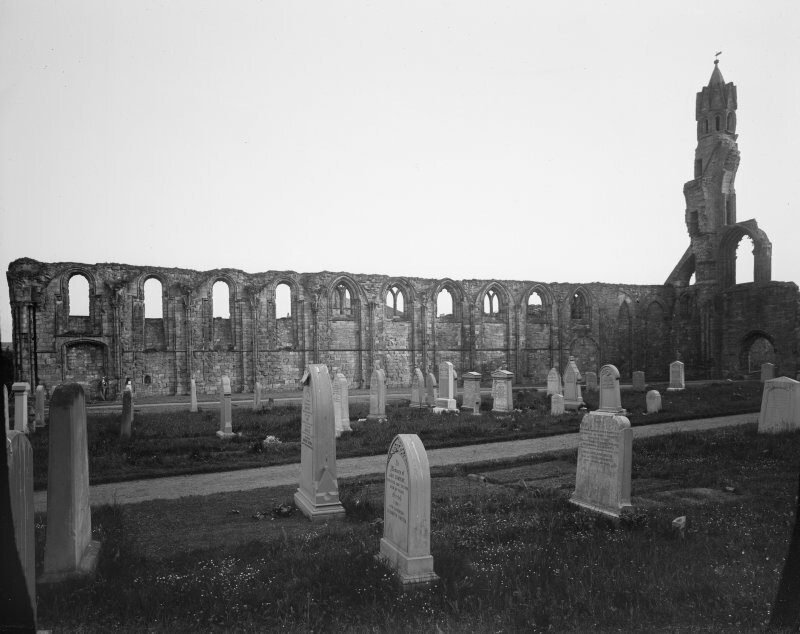 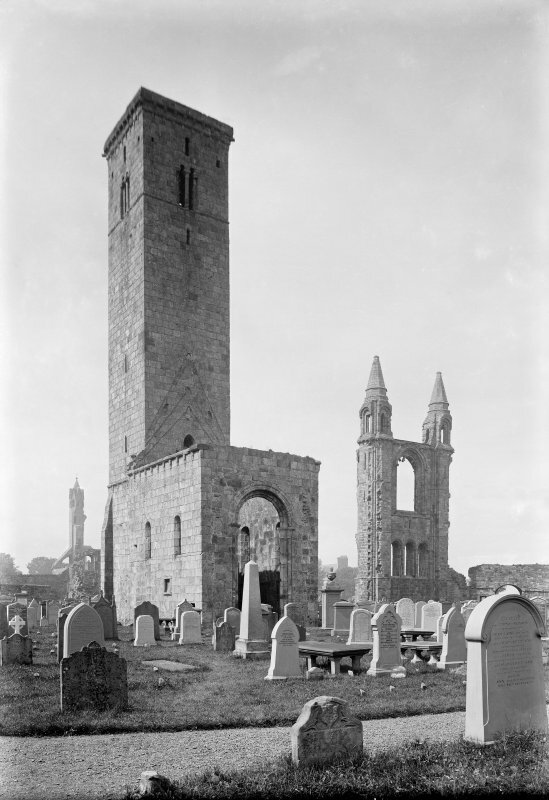 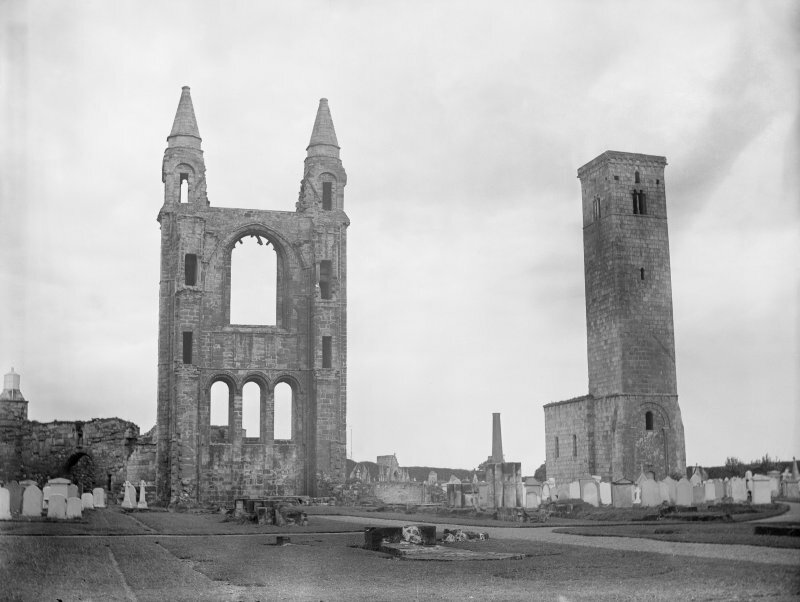 St Andrews was also for a long time the ecclesiastical capital of Scotland and the remains of the Cathedral, the largest in Scotland, date back to the twelfth century with its predecessor St Regulus’ Church and tower nearby. The ruins of the Castle date back to around 1200. 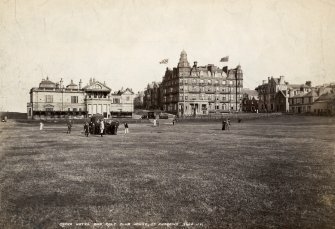 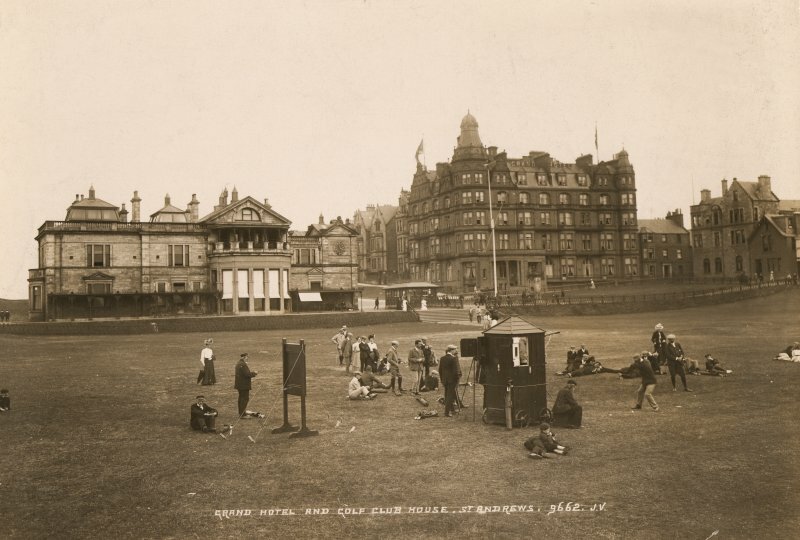 This year the 150th Open Championship in Golf will be played on the famous Old Course in St Andrews. 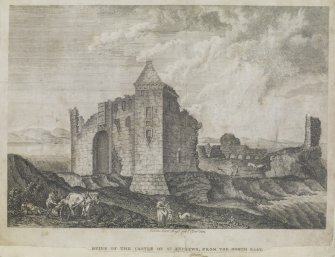 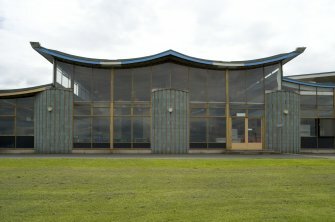 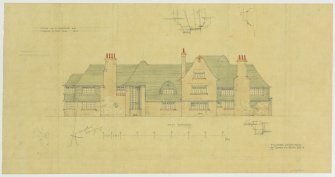 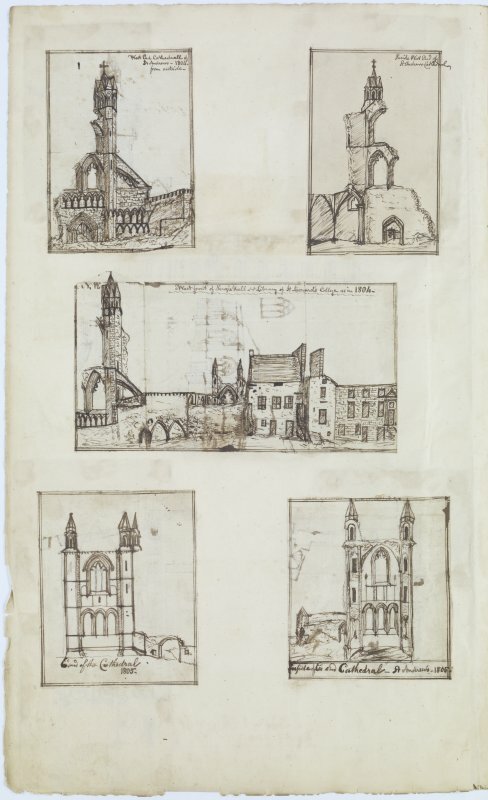 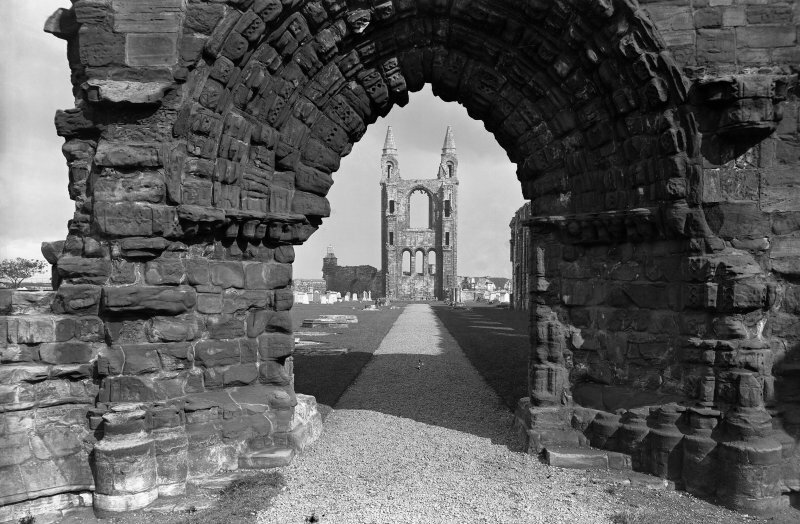 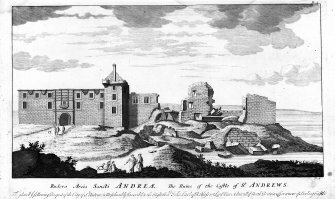 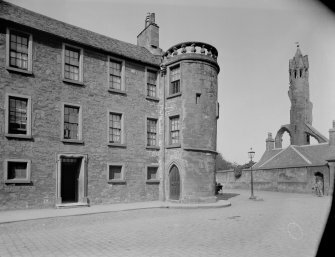 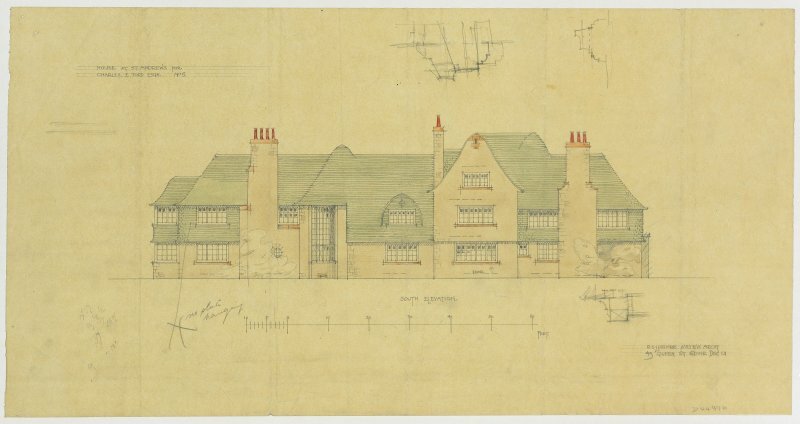 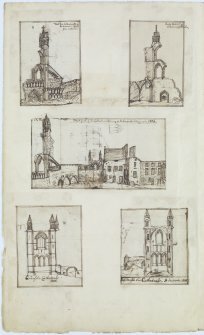 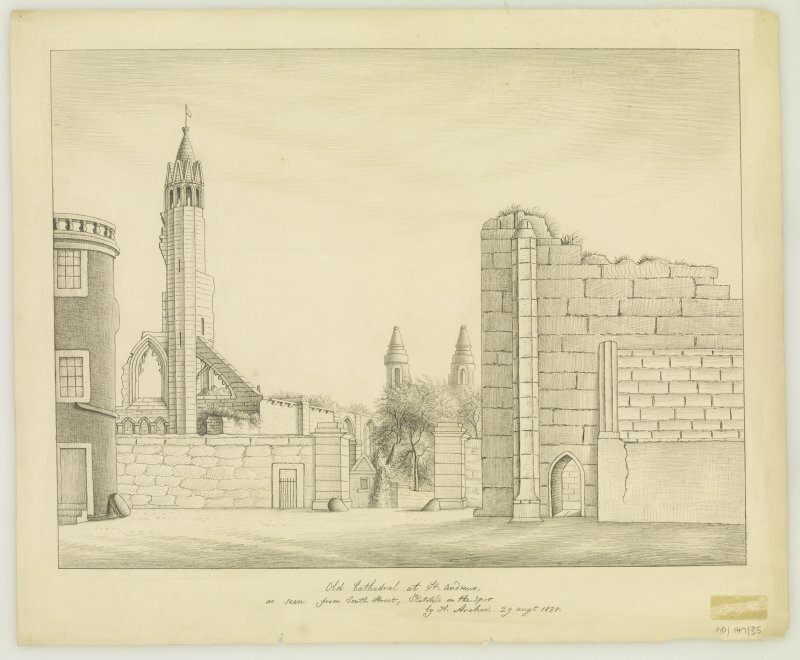 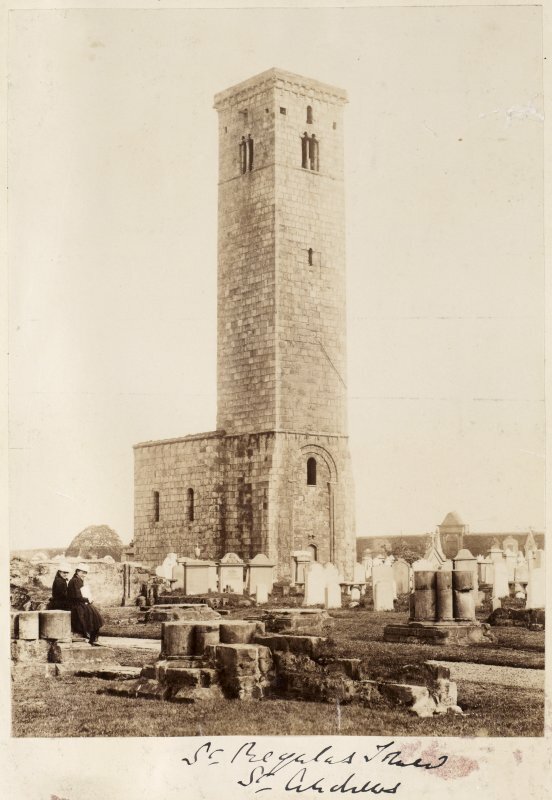 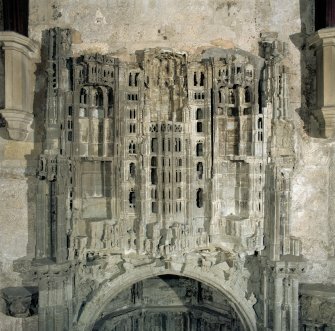 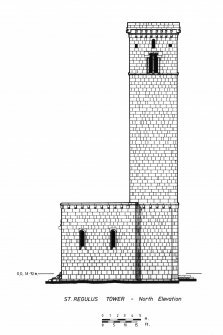 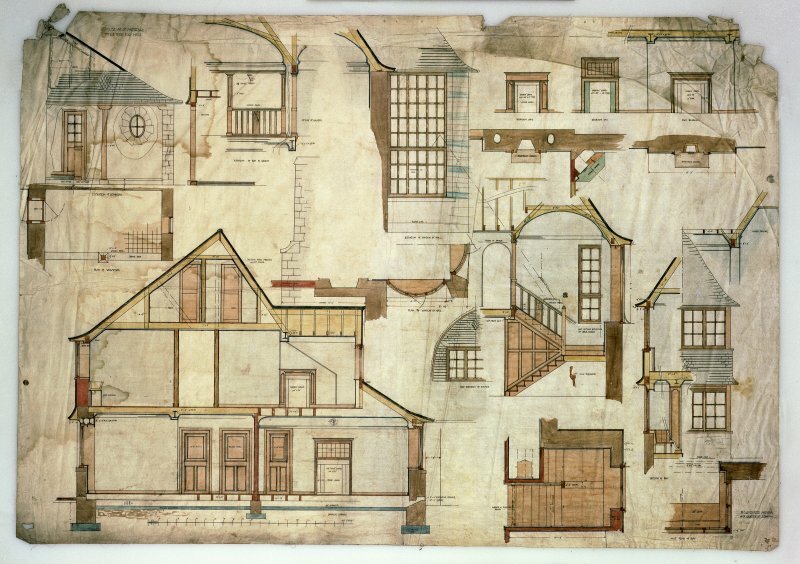 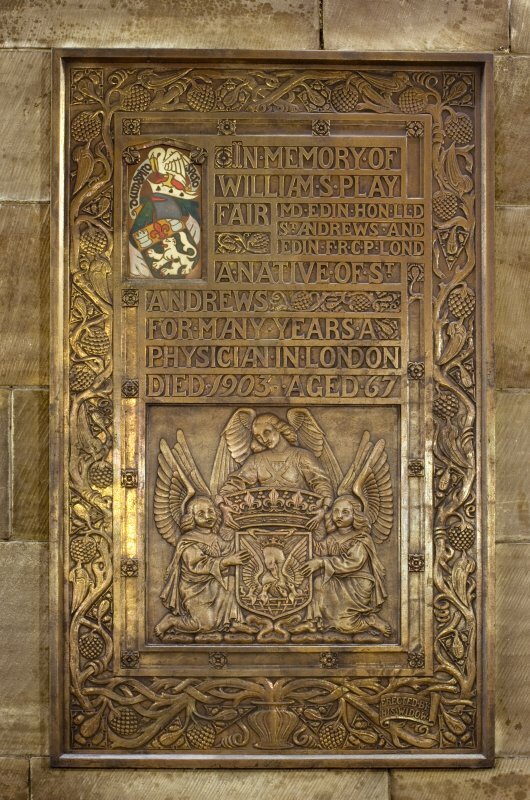 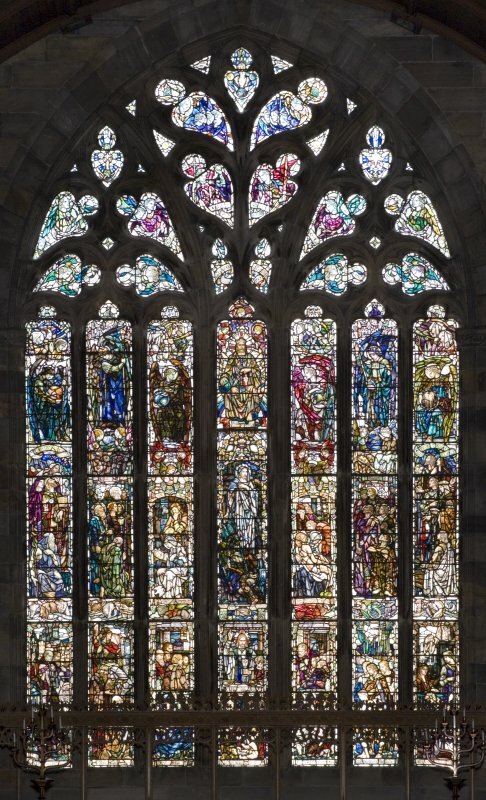 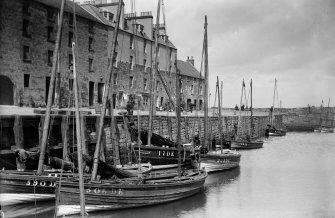 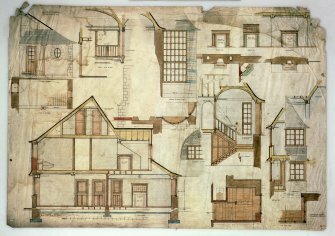 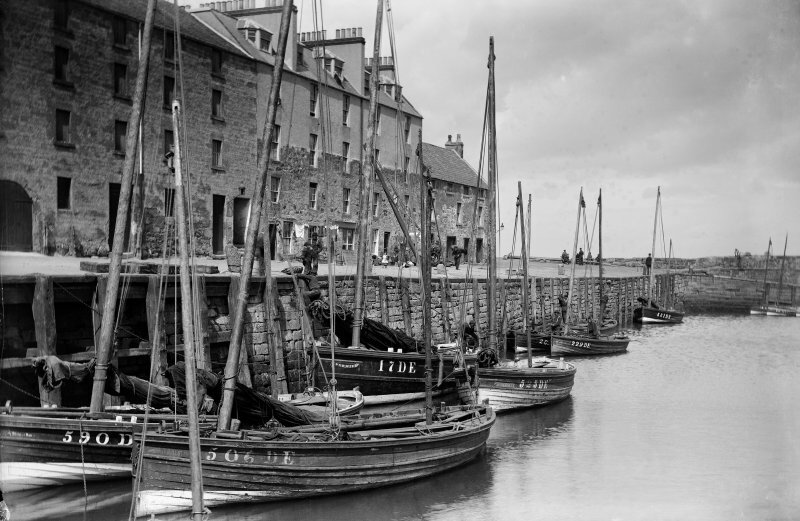 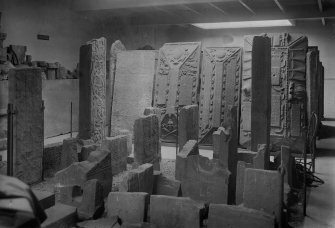 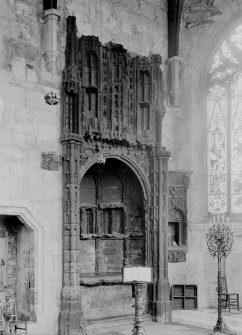 RCAHMS holds over 15 million items relating to the history of the built environment in Scotland, and the Collections contain a wide variety of items for St Andrews. 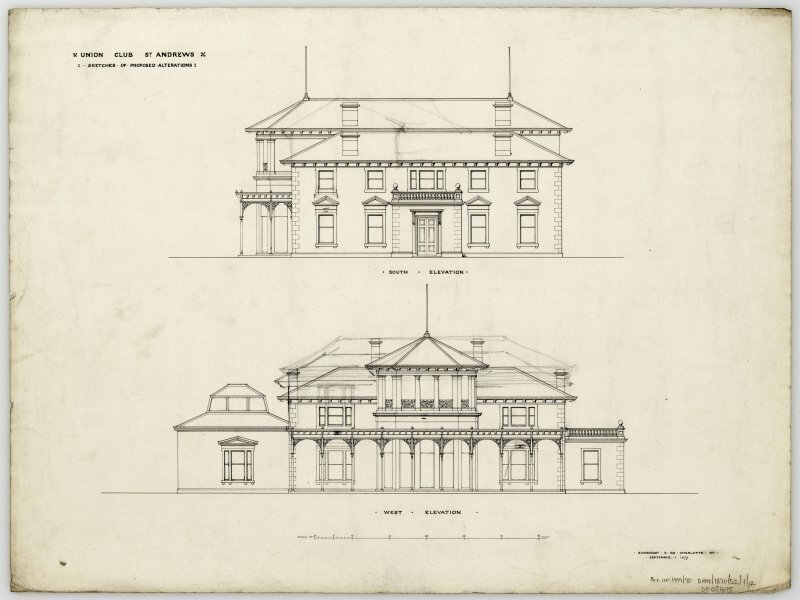 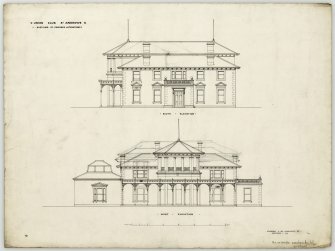 These include historic photographs, architectural plans, engravings and sketches, modern survey photographs and drawings, and modern and historical aerial photographs. 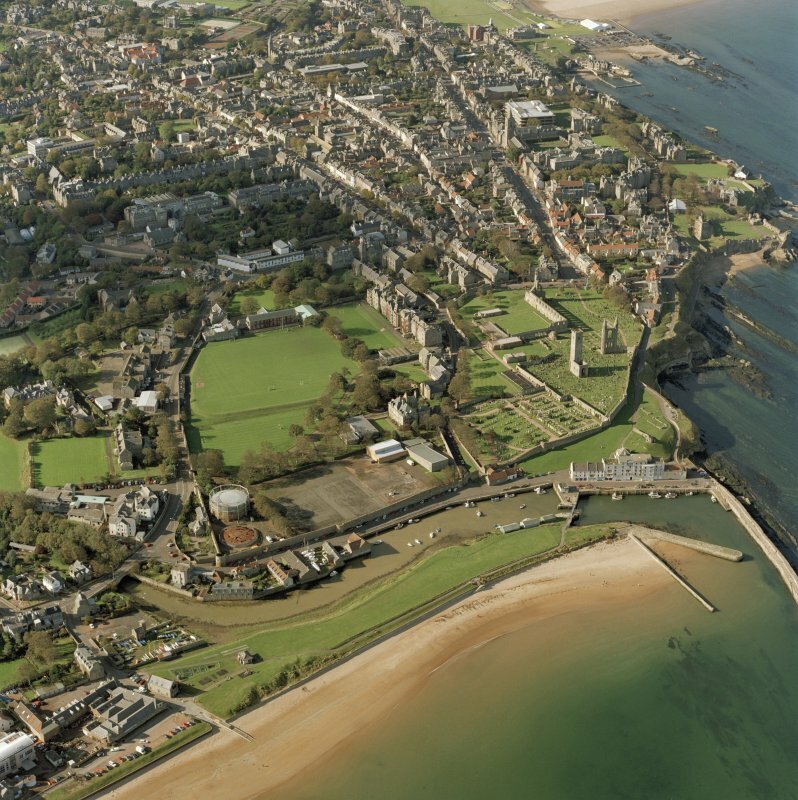 •	Aerial photographs of the town and golf courses photographed by the Royal Air Force in the 1940s and recent photography by RCAHMS. 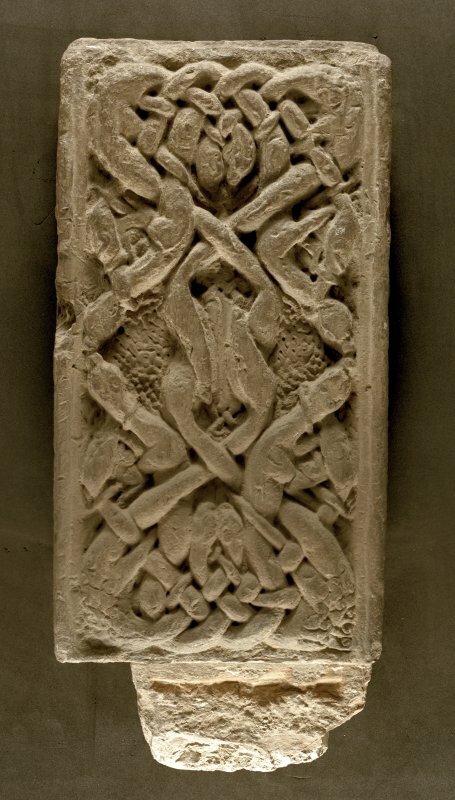 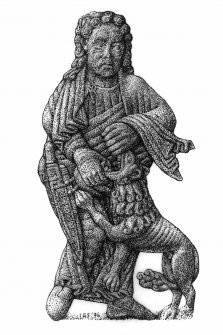 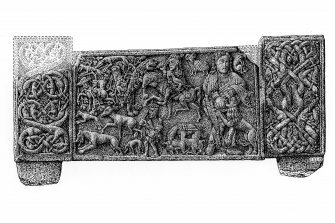 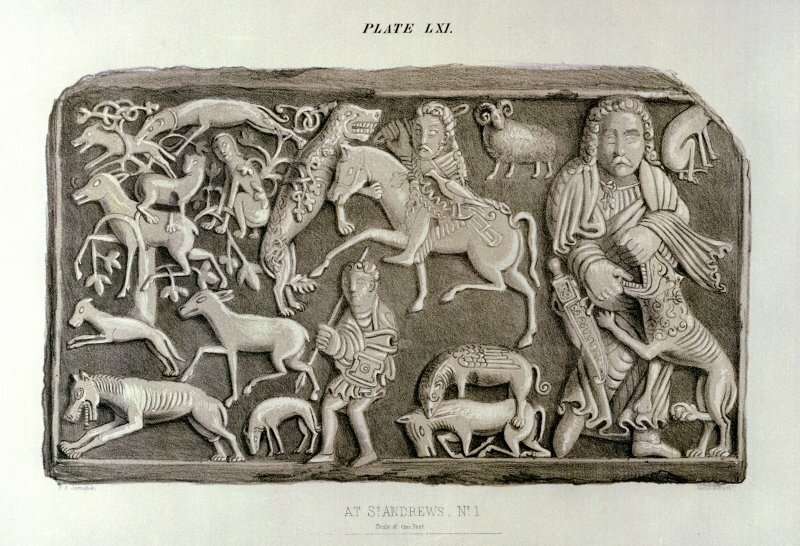 •	Survey drawings and photographs of the Sarcophagus and other carved stones in the Cathedral Museum of St Andrews. Right-hand corner-post 1B from front of Sarcophagus in Cathedral Museum of St Andrews. Detail of figure of David, on the central panel of the St Andrews Sarcophagus. 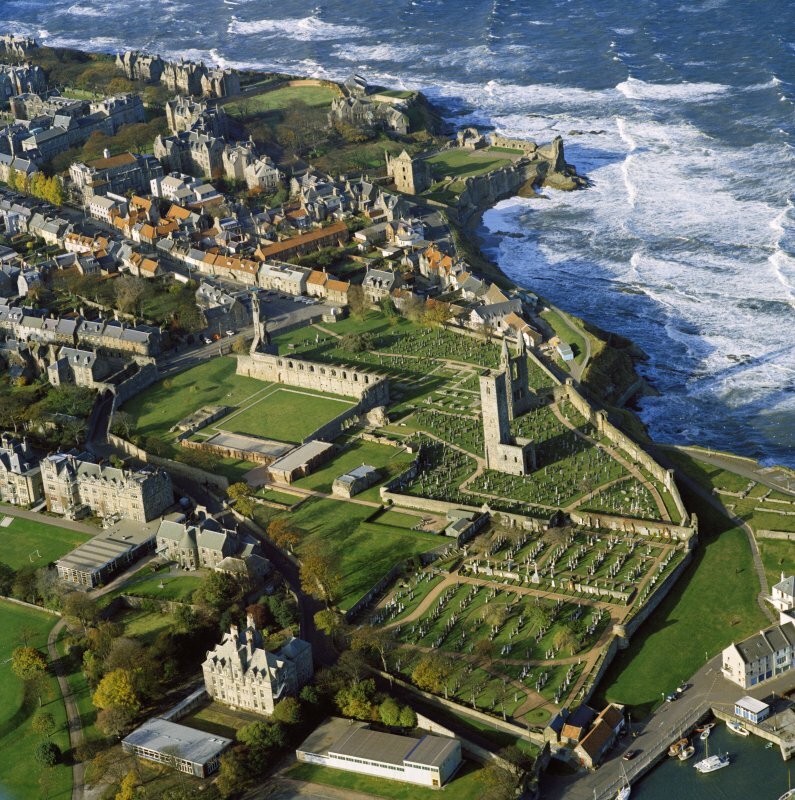 Oblique aerial view of St Andrews centred on the Cathedral and Castle from South East. 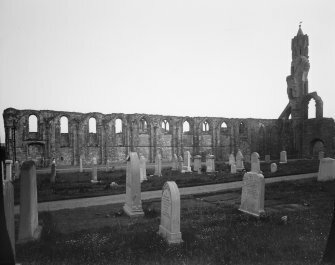 View of Cloisters from North East at St Andrews Cathedral. View of entrance to St Andrews Castle from South West. 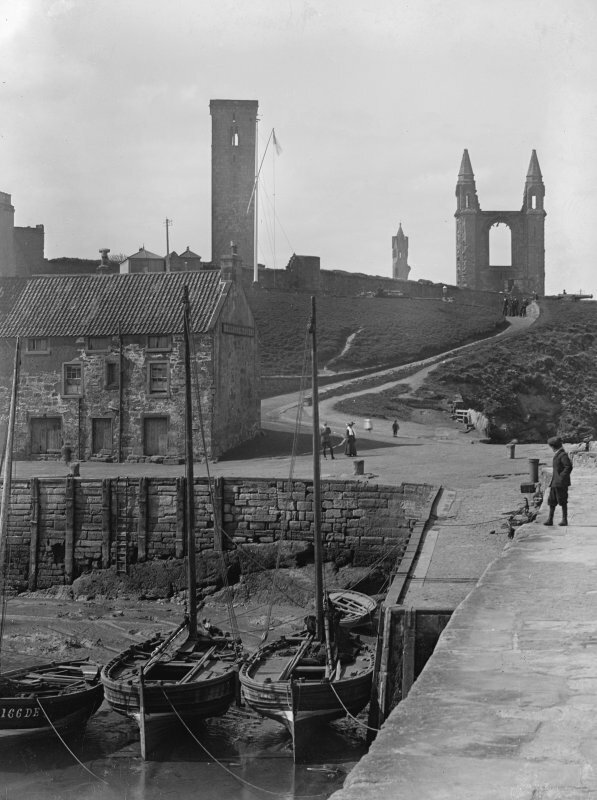 View from East of St Andrews Castle. 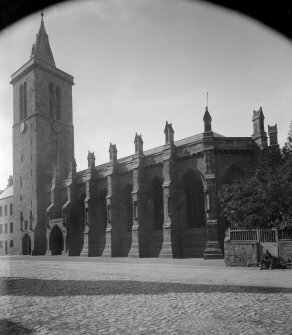 View of Bishop Kennedy's Tomb in St Salvator's College Chapel, St Andrews. View of The Roundel, St Andrews from South West. 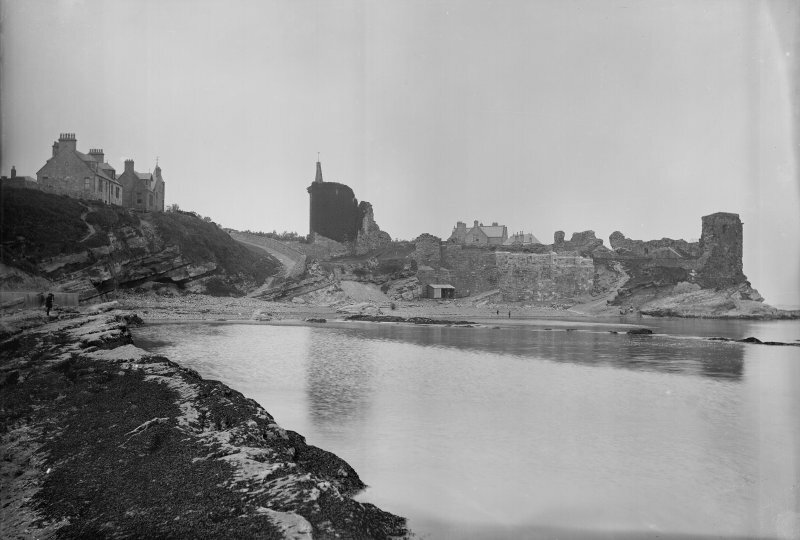 General view from South East of Harbour, 2 - 24 Shorehead and Bell Rock Tavern, St Andrews. 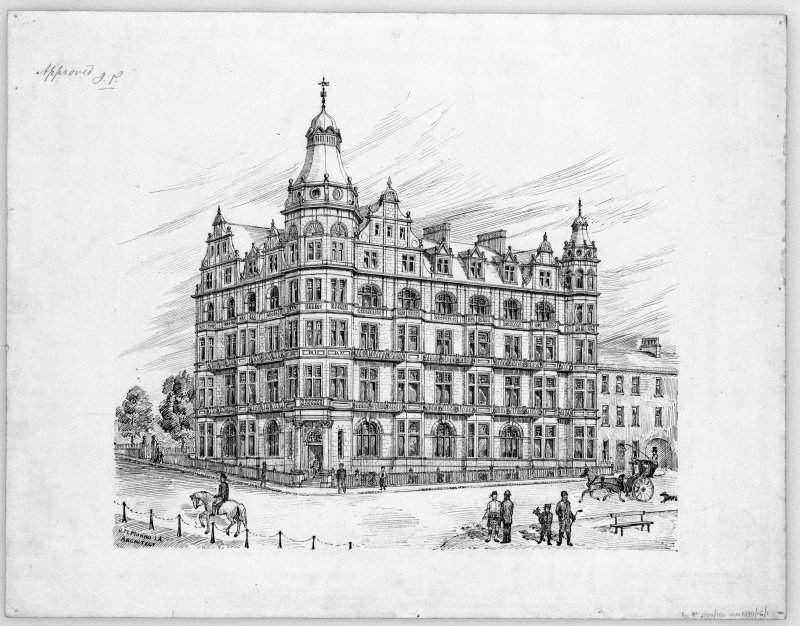 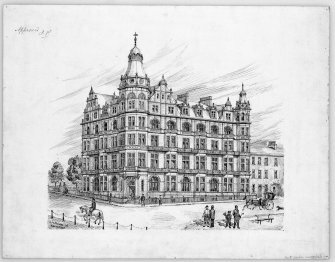 Perspective drawing of Grand Hotel, St Andrews. 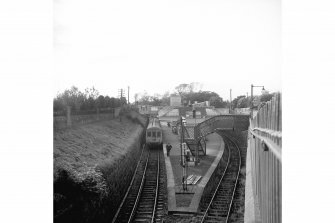 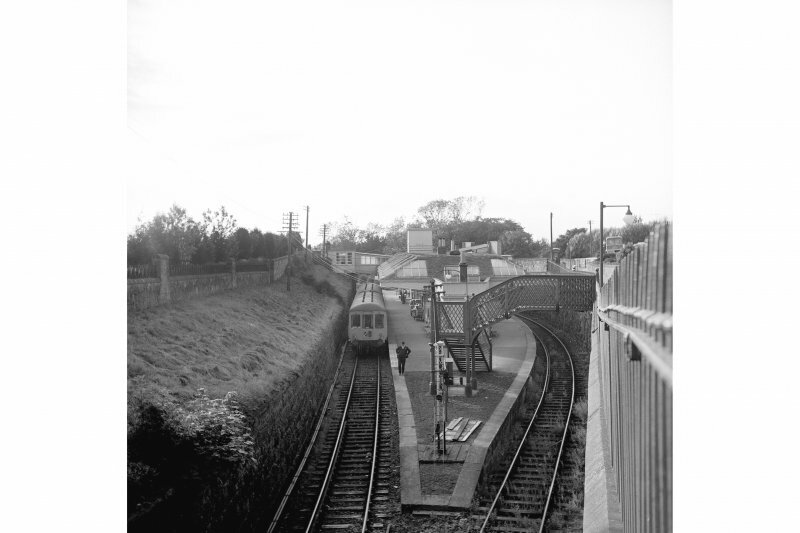 View from SE of St Andrews Station. 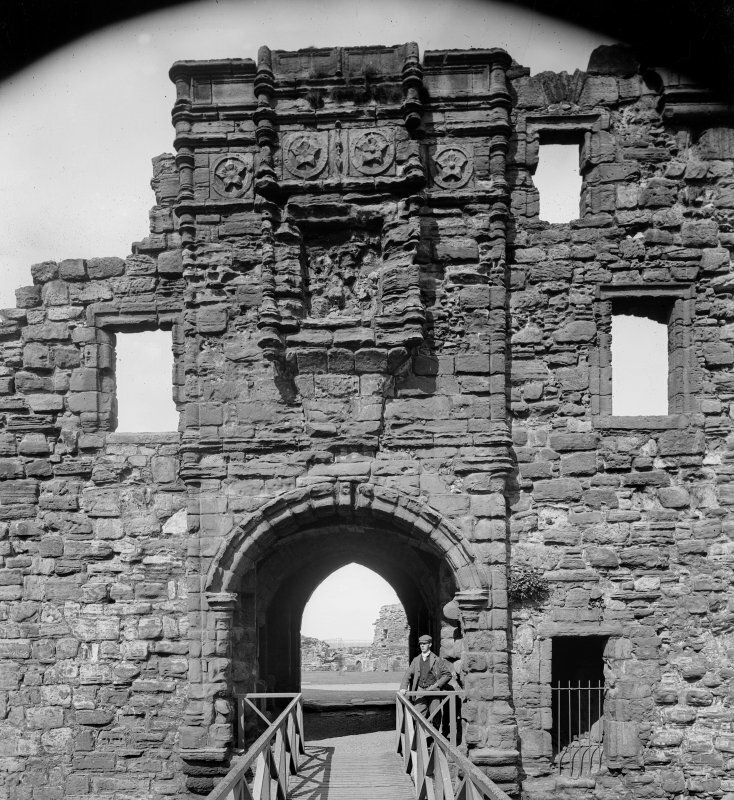 It was closed in 1969. 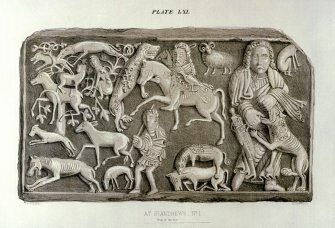 Sarcophagus panel 1. 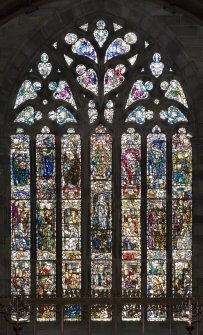 Held in the Cathedral Museum, St Andrews. 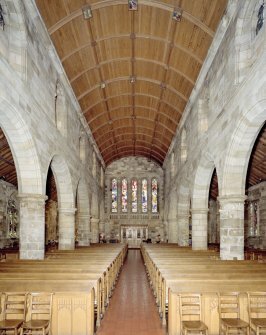 All Saints Episcopal Church, St Andrews. 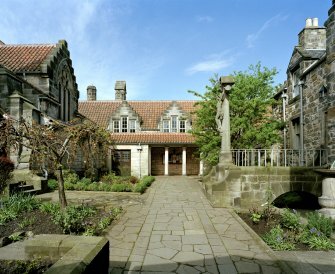 North East courtyard, view from East. 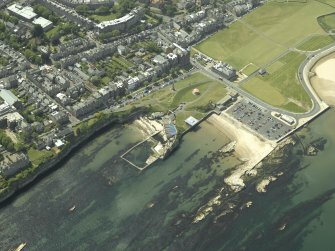 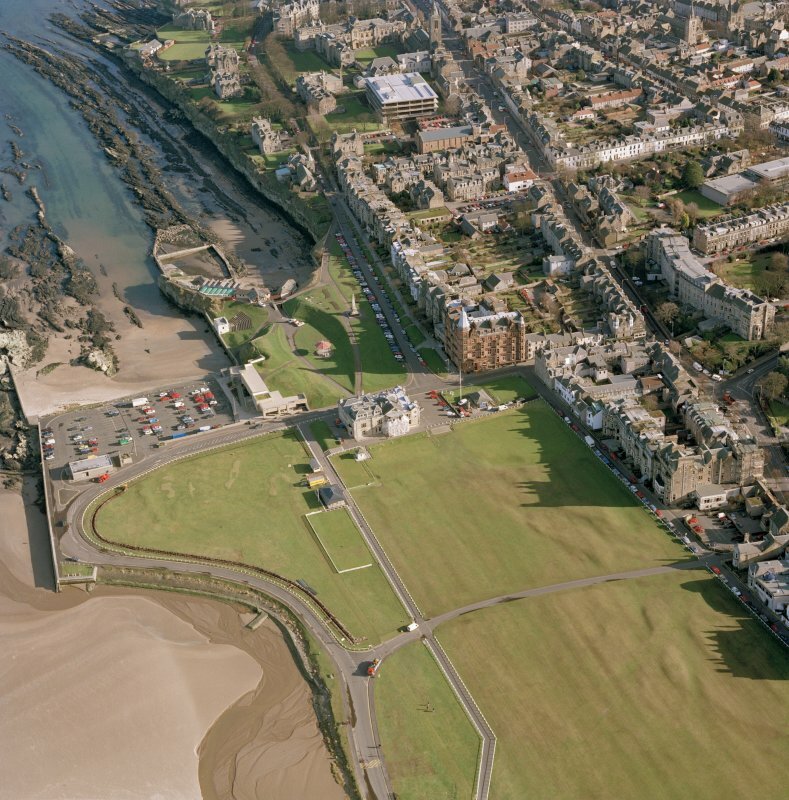 Oblique aerial view of St Andrews centred on the golf-course and the hotel, taken from the S.
Oblique aerial view of St Andrews centred on the harbour and aquarium with the museum, shop, Royal and Ancient club house and monument adjacent, taken from the NE. 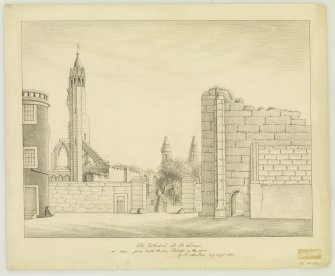 View of dining hall from N at Kilrymont School, Madras College, St Andrews. View of College hall buildings in quadrangle from SW, St Salvator's College, St Andrews. 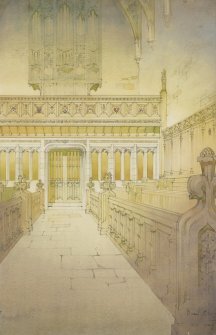 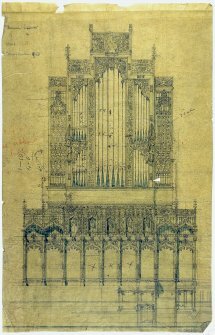 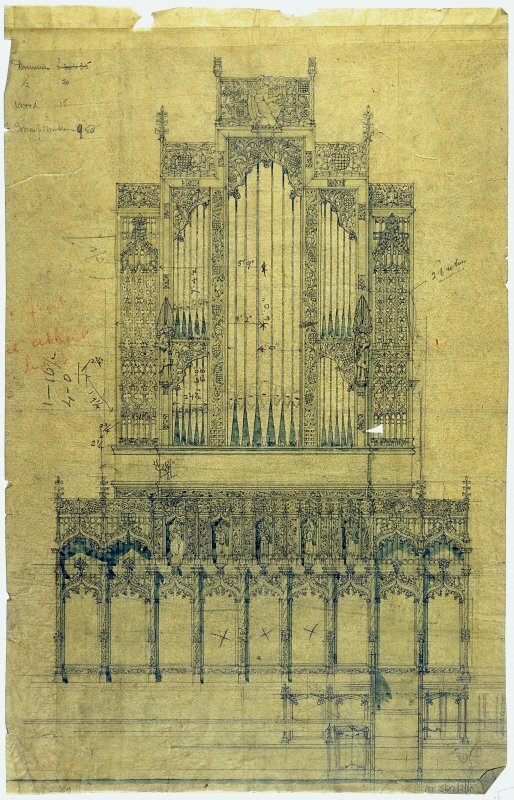 Perspective drawing of aisle and organ gallery in St Salvator's College Church, St Andrews. 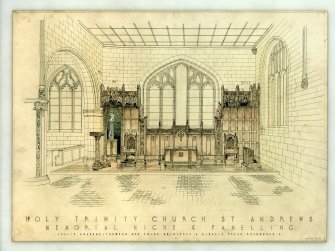 Bishop Kennedy's monument, view of upper section, in St Salvator's College Church, St Andrews. 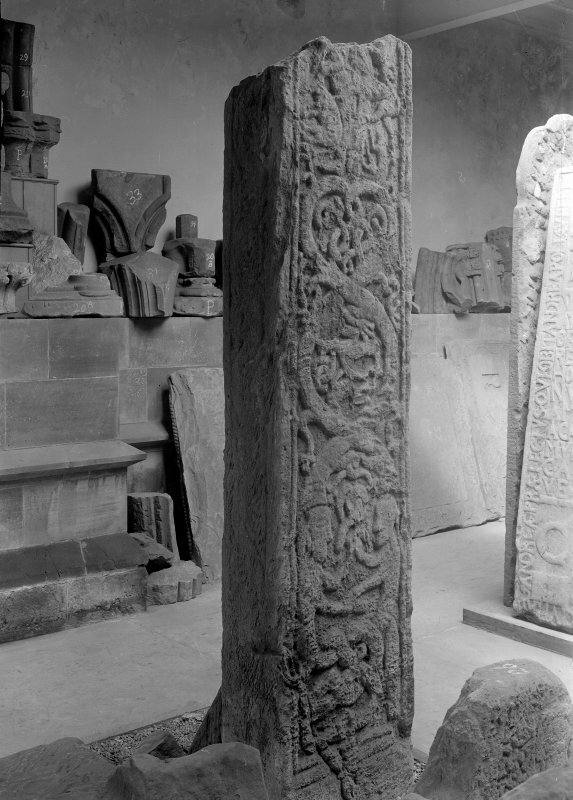 Cross-shaft in the Cathedral Museum, St Andrews. Sculptured stones in the Cathedral Museum, St Andrews. 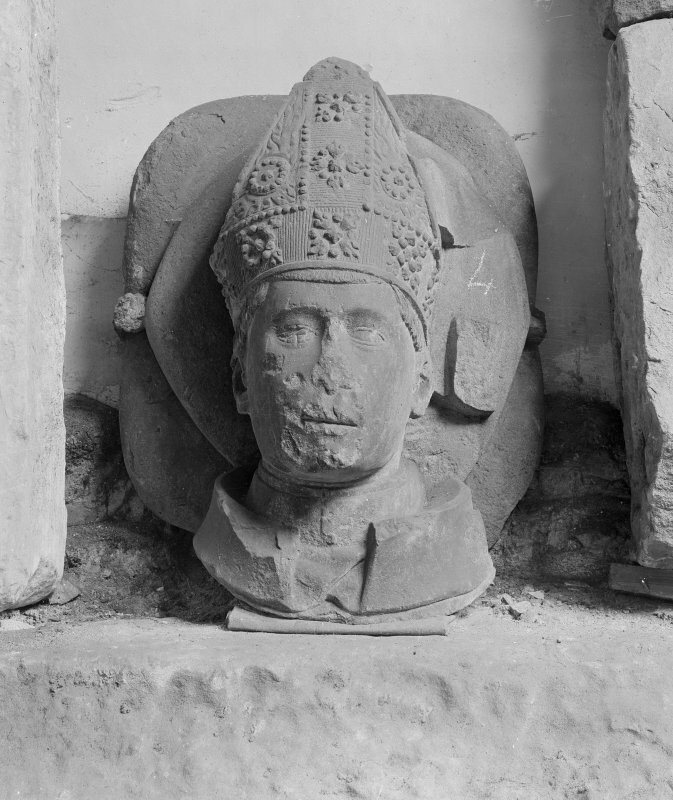 Bishop's Head in the Cathedral Museum, St Andrews. 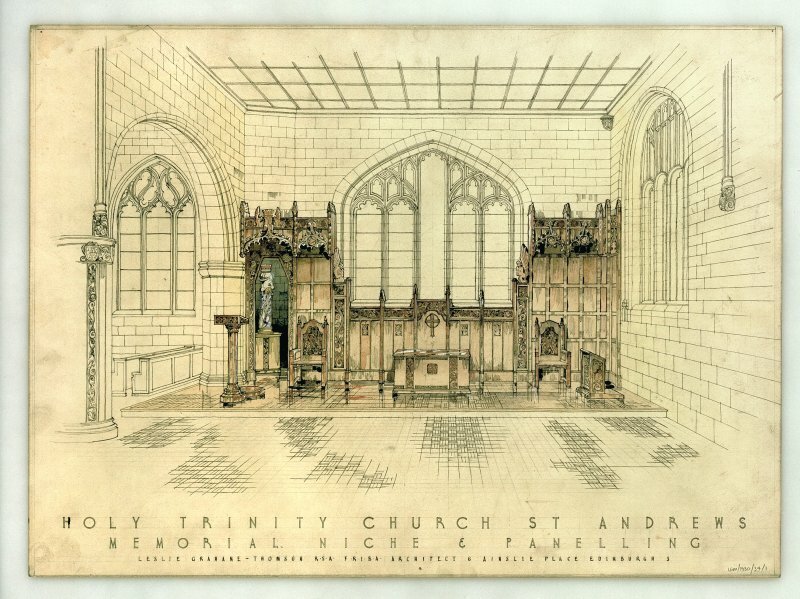 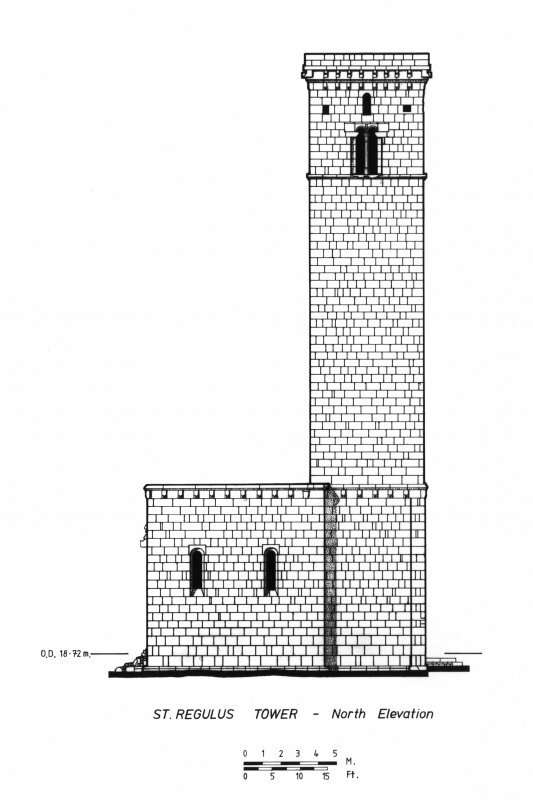 Drawing of St Andrews Cathedral from South Street. 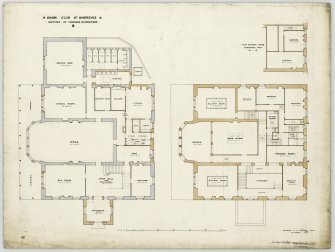 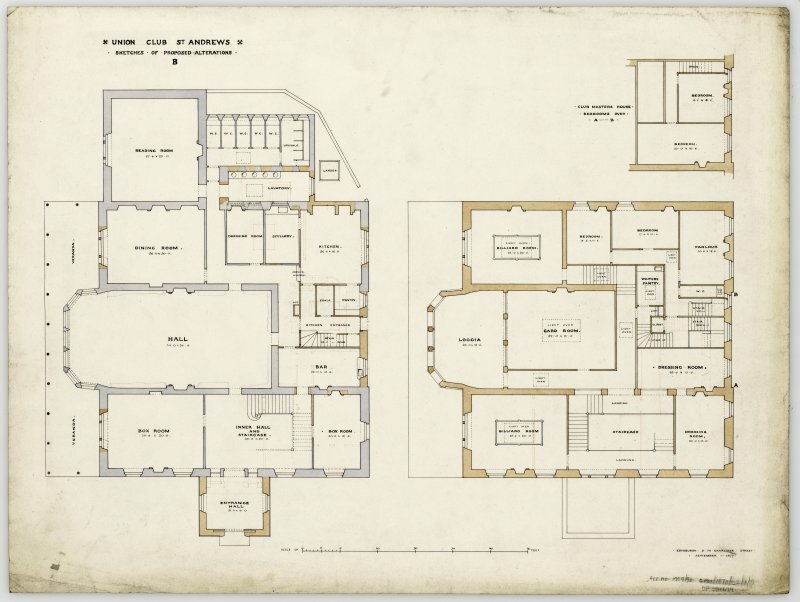 Floor plans for the Royal and Ancient Club House, St Andrews Titled: 'Sketches of proposed alterations'. 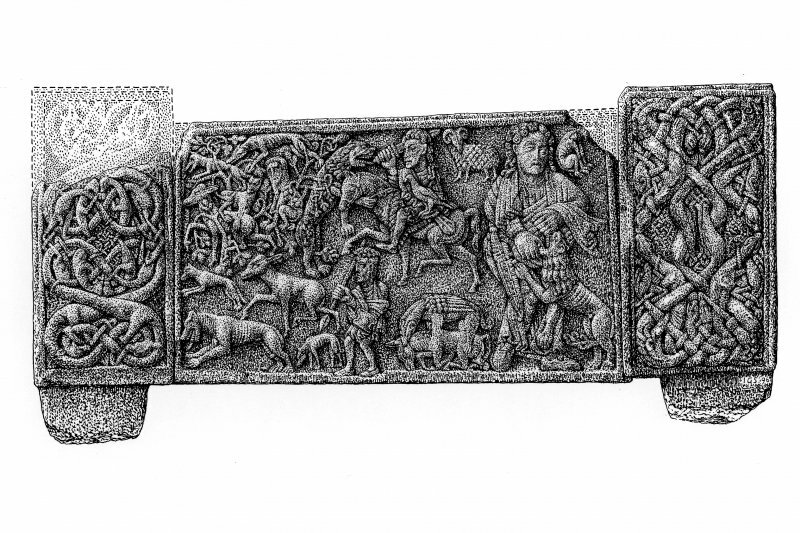 Not carried out. 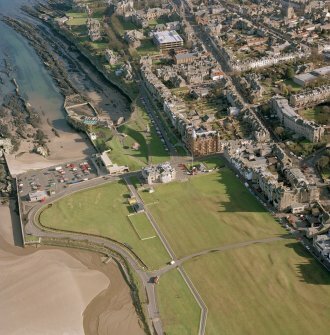 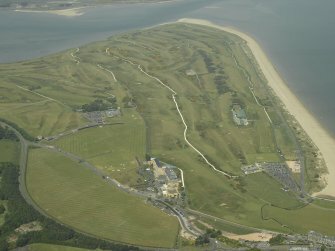 Oblique aerial view centred on the Royal and Ancient Golf Club, St Andrews.